Most job seekers are already aware of Seek, and Trade Me Jobs – two of the most popular websites to visit if you are looking for a job in New Zealand. Both these websites publish thousands of jobs every week – and most New Zealand employers advertise on these sites by default. However, many niche job boards, some of which are run by the government, are equally important or even more crucial if you are looking for a specialist job. Job seekers should bookmark this page for easy reference. Most job seekers who come to New Zealand choose Auckland as their preferred city to settle in. It multicultural composition, moderate weather add to the attraction of living in a city with most jobs in New Zealand. And Auckland Council is the largest employer in the city, and is also known for hiring new migrants. The careers section of Auckland Council provides an option to subscribe to their job feed, so that relevant jobs could be emailed to you. This is a good option to consider. One of the largest employers in New Zealand is the New Zealand government, and the hub of the government is Wellington. While Auckland has the most jobs in the country, Wellington has the most-paying jobs in New Zealand. 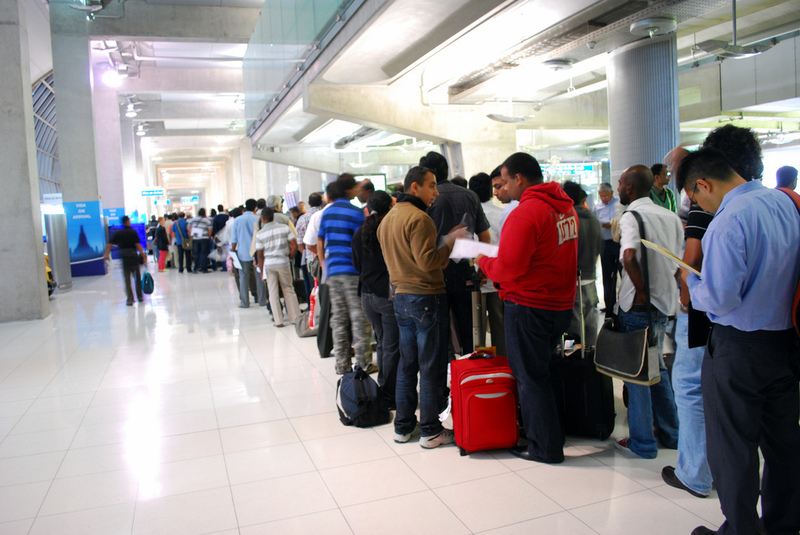 The government sector is also known to have openness to hiring migrants. This is the job website maintained by the social benefit department of New Zealand government, especially designed for people who are on benefit and are seeking gainful employment. The website usually lists low-paying jobs, but is a useful resource for new migrants who are struggling to find a job that matches their expectations. Since not every migrant is seeking a top-paying job in a glass office, New Zealand offers many low-paying, part-time or seasonal jobs that help new migrants hit the ground running and pay bills as they word towards their dream job. This job board specialises in seasonal job vacancies around New Zealand in many industries. Similar to seasonaljobs.co.nz, this website lists short-term work especially in hospitality, agriculture and horticulture. This website provides a list of key employers and recruitment agencies in various specialist industries and occupations. It is a very useful research website for job seekers. This is an initiative by chambers of commerce and is designed to match skilled migrants with appropriate New Zealand employers. Register on this website if you are already in New Zealand, or intend to travel to New Zealand soon. IT jobs are the most sought after jobs in New Zealand, especially by migrants. IT jobs also pay well, and because the skills are transferable, qualified migrants tend to have a better chance of getting a job in the IT industry than in other industries that rely on soft skills. Candle is the largest placement agency for IT jobs in New Zealand. The website has many IT jobs to choose from. Compspek is particularly good for contract jobs in IT and telecommunications industry, though they also cater to permanent jobs. Browse for ICT jobs available through this agency. While most recruitment agencies list their jobs on Seek and TradeMe Jobs, it pays to register directly with an agency. This helps in arranging a meeting with a specialist from the recruitment agency. Once you are on their file, they may be able to actively seek job on your behalf. Many times, you may be considered for a job that’s not even listed and advertised. While the following list is not exhaustive, it covers some of the popular placement agencies in New Zealand. This is a new crop of websites that provides a platform for jobseekers to profile their skills and make them visible to prospective employers. These websites take out the middleman (recruitment agency) from the hiring process and puts employers in touch with prospective employees. Migrants don’t have to worry about the recruitment agency’s bias, and employers save on hiring costs. Job seekersc can promote their skills to employers by creating a profile on Green Sky. This website is not only useful for seeking full-time jobs, but also a great place to find assignments as a freelancer or part-time employee. This is an online marketplace used by employers looking to outsource project-based work. For more specialist listings of job websites, visit the Careers website run by the New Zealand government. Want to know which country’s passport gives you visa-free entry to most countries around the world? Read on. For people who love to travel (who doesn’t? 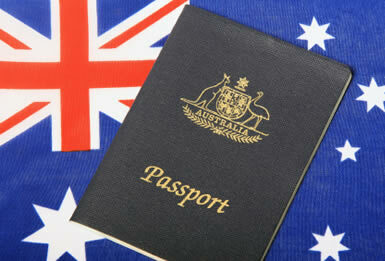 ), having a passport that qualifies for visa-free entry to popular tourist destinations comes very handy. In fact, that is the main reason why most people seek a foreign passport – it opens doors to many countries which would otherwise be off limits, or have stringent (and expensive) visa regulations. 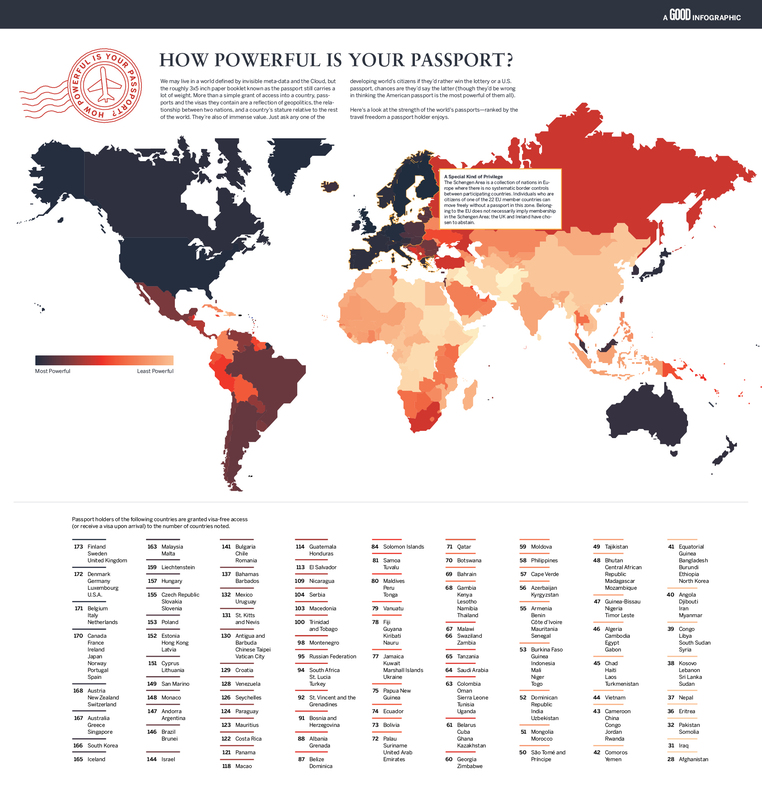 So which passport is most sought-after for international travel? Bad news: New Zealand’s passport isn’t the world’s most useful passport. Good news: It is still more powerful than Australian passport. Passport-holders from these countries get visa-free access to 173 countries around the world – that’s almost the entire world, isn’t it? Close on the heels are the United States, Germany, Denmark and Luxembourg, which open doors to 172 countries. Not to be left behind are Belgium, Italy and Netherlands with visa-free entry to 171 countries. Canada, France, Ireland, Japan, Norway, Portugal and Spain passport allows visaless entry to 170 nations. Where does New Zealand stand? At number 18. New Zealand passport provides access to travellers to 168 countries; Australia’s passport provides access to 167 countries. A former New Zealand lawyer has been found guilty of 93 immigration-related charges at Auckland District Court. Albany-based Richard James Martin is found guilty of forgery, giving false or misleading information to an immigration officer, and providing immigration advice without immigration license or exemption for license. used licensed immigration advisers employed at his company to “sign off” visa applications of clients they had never met. Zannah Johnston, prosecuting on behalf of the Crown on charges brought by the Immigration Advisers Authority and Immigration New Zealand (INZ), said: “Licensed immigration advisers were used to sign applications because Mr Martin was unable to. “Some would say he used the advisers as puppets for rubber stamping. Mr Martin met with each of the clients, not the licensed advisers. Mr Martin has been remanded in custody pending sentencing on 1 August 2014 at Auckland District Court. New Zealand law requires that immigration advice must be licensed by the Immigration Advisers Authority, unless exempt. Exempt people include lawyers who hold a New Zealand practising certificate. Mr Martin previously surrendered his practising certificate. Discussing ways of encouraging ethnic communities to vote in the upcoming elections is one of matters on the agenda for an ethnic conference in Wellington this weekend. The annual general meeting of Multicultural New Zealand, the Federation of Multicultural Councils, will celebrate its 25th anniversary. Also on the agenda is a panel of political party representatives that will discuss policies relevant to migrant, refugee and ethnic communities, says a statement from Multicultural New Zealand. The conference will also look at fundraising, working with volunteers, and a more topical theme – countering family violence. Ambassador of Philippines Virginia H. Benavidez and Wellington Mayor Celia Wade-Brown address delegates from 19 regional multicultural councils and three national councils for youth, women and senior citizens at the Wellington City Council offices from Friday 27 June to Sunday 29 June. Also speaking at the conference are: Vanisa Dhiru (Volunteering New Zealand), Joris de Bres (former Race Relations Commissioner), Peter Dunne (United Future Party), Trevor Mallard (Labour Party), Jan Logie (Green Party), Sarah BridglandHill (Office of Ethnic Affairs), Ann Dysart (Ministry of Social Development) and Heather Newell (Foresee Communications). Morgan Kane is not her real name. When she decided to share her story online, she chose a pen name. As many white girls working in India do – change their name for work. I am not referring to shady or hanky-panky work – though some of the work borders in that area. I am talking about legitimate though unusual work that white girls have started to pick up in India. “Tonight, I am going to be a table! A human table wearing a glow in the dark fireman’s hat,” says Morgan Kane, one of the many white girls in Delhi, who pick up such odd jobs. This is not human trafficking. Neither is it skin trade in its literal sense. This trade is purely based on the colour of their skin, and probably gender. Indians’ fascination for fair skin has found a new expression in the form of hiring white girls (European girls as they are known in India), mostly for ‘display’. The trend is growing in the northern region of India, where it fuels the ego of the host as they show off their power and wealth by showcasing exotic girls at weddings and private parties. The girls, who have gained nickname ‘white trash’, are used for everything from modelling to ‘elite guests’ and as bartenders at events, to add glamour quotient. “Why do patrons feel that being seen to be able to afford to hire or associate with white women in some way improves their social status and perception of pecuniary wealth?” asks one such Morgan Jane in another media report. According to the media report, these girls earn as much as Rs 10,000 (US$170) per day, with some events extending over many days. While it may not sound like big money in dollar terms, India’s low cost of living makes the pay attractive. Two prejudices are at play here. First, the British rule caused an inferiority complex among Indians. White skin began to be considered superior. Second, which is a corollary of the first, hiring white girls gives a boost to status of the Indian host. It could also be argued that getting Caucasian people to do odd jobs becomes some kind of a redemption for 200-years of British rule in India. Life has come a full circle, it seems. “Back in the days of empire, no colonial Indophile worth their salt would have been without their harem of Indian entertainers,” writes Morgan who worked as a human table at a wedding. To be fair, white girls have always found work in India for many decades. Initially Bollywood provided them jobs as dancers for songs, and more recently they began to be seen as cheerleaders in the popular Indian Premier League. Also, having humans as tables at events is neither a new concept nor a derogatory one. 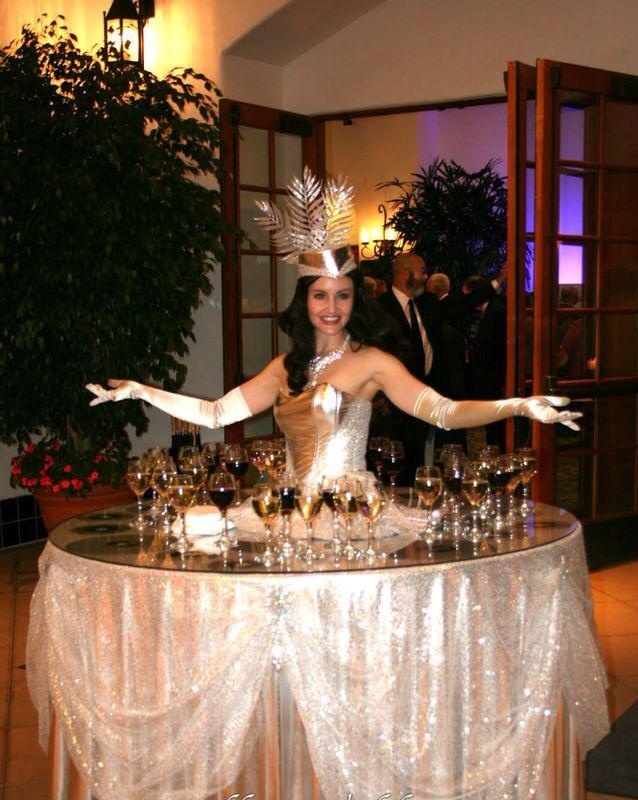 See Strolling Tables, a San Deigo Spotlight Entertainment website that provides theme-based human tables for events. The concept was popularised by Russians, and is widely used in the Middle East. Even in India, it is Russians who are active in this “white girls” industry, as Morgan explains: “Some of the girls – from my experience, mainly Russians – work full-time on contracts. They get paid upwards of Rs 80,000 a month (£800 – not bad at all in India), as well as having their accommodation and living expenses covered. Many of these girls take up these high paying jobs at the risk of being attacked, abused, molested and even raped. In a country where people are blatantly bombarded with fairness cream advertisements not only for women, but also for men, a rise of an entire industry based on skin colour is setting a dangerous precedent. “As a white woman participating in this industry and a client paying them to do so, you are not only profiting but perpetuating an already well-established beauty myth that lighter skin is better,” says Morgan, who realises that she is also adding to the difficulties of local girls. “I can hardly complain of exploitation as a result of my alabaster skin in a country where millions are exploited every day for having the “wrong” skin tone. How many deaths before drug laws tightened? 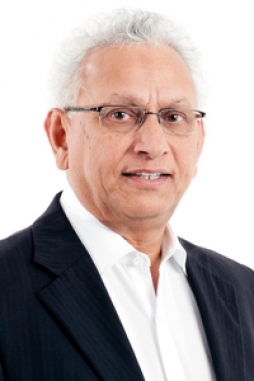 Arun Kumar migrated to New Zealand from Fiji for a ‘safer’ future for him and his family. The morning of Tuesday 10 June 2014 turned out to be his last day in the country that he chose to bring up his children in. At about 7am, two young boys, aged 12 and 13, entered his dairy as he got ready for early customers. One of the boys fatally stabbed the 57-year old dairy-owner who is now remembered by the community as a “loving, family man”. Only about a fortnight earlier, another migrant fell victim to a vicious attack. Philippines-born Blesilda “Blessie” Gotingco was on her way home from work on 24 May 2014. As she got off the bus, barely a few hundred meters from her home, she was attacked by a repeat offender. Her dead body was found by the police search team the next day. Police arrested a 27-year old man with previous convictions, who was under supervision with an ankle bracelet, says E2NZ website. The accused was living just 1.4km from Blessie’s home, says the New Zealand Herald. 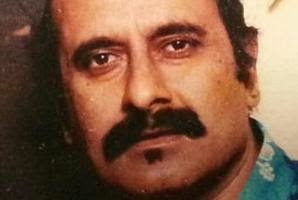 Arun Kumar’s death has evoked angry reactions (rightfully) from the community. “We want to send a strong message that this is not acceptable in a country like New Zealand, where people have migrated for the betterment of their family and friends. To die in such a way is really saddening,” a family friend of Arun Kumar told TVNZ. New Zealand is always considered to be a safer place by migrants coming from civil-strife-ridden countries like Sri Lanka, India, Pakistan, Fiji and Bangladesh. However, the clean and green image of New Zealand that’s portrayed to prospective migrants often underplays the crime scene in the country. While large-scale organised crime is certainly low, the violent acts of desperate people, often on drugs, claim the lives of unsuspecting migrants who are often seen as easy targets. 1. Did the ambulance respond swiftly enough? I am reminded of the murder of 29-year old liquor-store owner Navtej Singh in Manukau in 2008, when the police prevented ambulance staff from accessing the dying victim, despite the offending criminals having fled the crime scene. It was alleged that Navtej could have been saved if medical help was allowed in time. A police inquiry found that the 37-minute delay was “undesirable” and cannot be justified. 2. Did the police arrive in time? We will need to wait for the police report to be made public on this one. 3. Did the parents of the boys raise them well? Why were the boys on the street instead of in school, and what role did the parents play in their upbringing? The parents of both boys, aged 12 and 13, are in jail or facing active criminal charges, says a report in the New Zealand Herald. Because the boys are teens, their names are suppressed. The Herald reported that both the parents of the 13-year old murder accused are in jail, and the boy was being looked after by his grandmother. The younger boy’s father too was in police custody this month on violence charges. “Were the alleged offenders attending school regularly, if not where was the truancy service?” asks Phil Goff, Labour spokesperson for ethnic affairs. 4. What is our role as a community? Where did we fail? Is our social system protecting ineffective parenting? Are we supporting dysfunctional families on benefits? As they say in Africa, it takes a village to raise a child. This beast (the accused) is a creation of the wider community, says New Zealand Indian Central Association (NZICA) President Harshad Patel, in a report in the Indian News Link. “By accepting children on the streets during school hours, by supporting parents who do not look after their children and by allowing gangs to proliferate, we are breeding criminals at an alarming pace. The offender knows that human rights exist for his security,” he says. The Bigger question: why has New Zealand failed to control its drug problem? According to the Drug Foundation of New Zealand, New Zealand has some of the higher per-capita drug-use rates in the developed world. One in six (16.6%) New Zealanders aged 16–64 years had used drugs recreationally in the past year, according to the 2007/2008 New Zealand Alcohol and Drug Use Survey. It gets even worse – at least half of New Zealanders (49%) have used drugs at some point in their life – excluding alcohol, tobacco and even party pills. The situation is bleak with our children – one in three children (below 18 years of age) report drinking alcohol on more than three occasions in the past month. One in four (24%) children of 16-17 years of age report using cannabis in the last year. Substance abuse is a double-edged sword – it influences senses, and it creates thirst for immediate money and gratification. This addiction is not only spoiling the future of a beautiful country, it is also exposing its most vulnerable communities – ethnic and migrant groups – to some of the most hideous and violent crimes in the country. Too often ethnic communities working in retail and service businesses were on the front line of crime, says Phil. Sometimes, migrants don’t even need to be in a dangerous profession. Merely walking down the street could be fatal as 25-year old Indian student, Tarun Asthana, found out on 4 November 2013 after being punched to death outside McDonald’s in downtown Auckland. In January 2014, Praveet Chahal was attacked by a bottle-wielding man on an Auckland street just a few meters away from her home. As she lay bleeding on the ground, she cried out for help, but none of the by-standers stepped in. Praveet suffered a broken nose, a fractured eye socket, extensive bruising and a big setback to her confidence. “I have never felt this violated in my entire life, for once in my life feel that my freedom has been taken away,” says Praveet in a Facebook post. The offender was on bail. Migrants are easy prey as they are least likely to put up a fight, are struggling to adjust to new legal and cultural systems, are desperate to succeed and would like to stay out of trouble at any cost. High-crime areas in Auckland and around New Zealand are known to the law enforcing authorities. However, limited policing resources put our communities in these high risk areas in danger. If the government kept cutting the budget for police in real terms that we would invite more crime by lowering the risk to criminals that they would be caught, says Phil. “In Henderson, other shopkeepers told us they wanted a community police station and a more visible police presence in the shopping centre,” says Phil. With elections approaching, the voters will have crime and safety at the top of their mind. Any government that concerns the safety of its people would stand a good chance of winning the trust and vote. 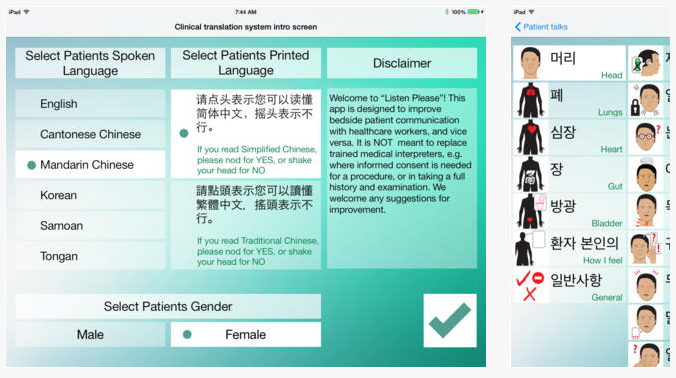 A New Zealand clinician has developed a mobile app to improve communication between patients with limited English skills, and their medical staff. The iOS app could be downloaded by hospital staff on their iPad and used to either ask questions, or explain treatment to patients. Similarly, patients can use the app to communicate with their doctors and medical staff. 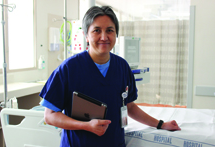 Dr Janet Liang, an intensive care specialist at Auckland’s North Shore Hospital, spent almost five years in developing and fine tuning the app – Listen Please. “The app has been created out of my own professional observations about how we can better communicate with patients who don’t understand a lot of English, and for them to communicate with us more clearly when they cannot speak English or can’t speak at all,” says Janet, who believes that the app is not designed to do away with medical translators. “Clinical translators do a fantastic job, but it sometimes isn’t practical to have one around all day, or sometimes they cannot be available quickly enough,” says Janet. The app could prove to be a life-saving tool in emergencies when no immediate translators are available, even among family members present. The beauty of the app lies in its versatility – it can be used in day-to-day conversations with inpatients, as well as in intensive care situations. The app offers two-way communication in that patients can also communicate with medical staff, for example, if they we wish to speak to a family member or to go to the toilet. 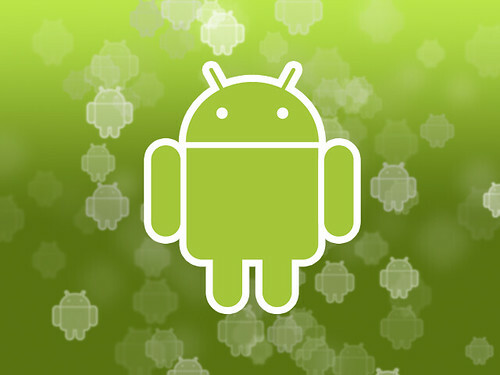 While there are other translation apps available including Google Translate, this app has been specifically designed for medical situations, and contains illustrations and photos to make communication faster and accurate. Created for New Zealand, it contains written and audio translations in five main non-English languages in New Zealand – Samoan, Tongan, Cantonese, Korean and Mandarin. As it is a stand alone app, it does not need internet access to work, which makes perfect sense, as it could be used in hospitals as well as clinics. Janet was able to fund the development of the app after she won NZ$10,000 as prize money from the Health Informatics New Zealand Clinician’s Challenge in 2011 with her concept of Listen Please. She received a further funding of $20,000 from the Waitemata DHB Asian Health Support Services, so that Janet could hire New Zealand mobile software company MEA to develop the app, according to a report in the NZ Doctor. Janet then topped up the funding with $6000 from her own savings to bring the app on the iOS platform. The proceeds from the sales of the app, available for NZ$12.99, would fund further improvements, and for adding more languages. This is a mobile app to improve communication between doctors and their patients who cannot speak at all, or have a limited understanding of the English language. Patient Talks Mode: If a patient wants to communicate to the clinician, after their language is selected the patient can use the Patient Talks mode to communicate their needs e.g. wanting to speak to one’s family/ friends, wanting to go to the toilet. Clinician Explains Mode: The clinician can explain what care is going on or to explain clinical procedures (NOT for gaining informed consent), e.g. inserting an intravenous cannula. There is a session log that records Yes/ No/ Don’t know answers so that the clinician can go away from the bedside and write down what has happened; this clears every time a new language is chosen. The week beginning 9 June marks Kiwi Carpooling Week in New Zealand, and Auckland Transport wants to encourage drivers to consider car-pooling as an environment-friendly gesture which also saves money. 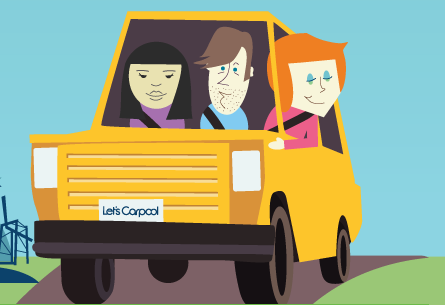 I asked Auckland Transport – does carpooling really save money? Do they have any numbers to support the claim? Auckland Transport believes carpooling helps us in saving costs of petrol and parking. And these savings can be as high as $2550 a year. Yes, you could save up to $2,550 annually by carpooling, and put that saving into paying off your mortgage sooner. But what’s the biggest hurdle to carpooling? Timing. Each person has their own time to go to work and come back from work. Also, because of the location constraint, commuters are limited to consider their own work colleagues as co-passengers, which also means you would typically carpool with people you get along with. Auckland Transport helps you with the first part of this problem – finding a car buddy. You can visit the site to find people living and working near you who are looking to join a carpool, or talk to you friends and colleagues about setting up your own. Just put the starting point, destination and journey date and the website will find suitable rides for you. Already, nearly 5000 Aucklanders have signed up on the website for carpooling, which increases your chances of finding the right carpooling partner. What if you don’t find someone that lives nearby and works near your workplace? You will need to be a bit flexible. You don’t need to carpool all the way to work. Consider sharing a car to a central place, and jumping on a train or bus from there. Also look at the larger picture. With more people carpooling, there will be fewer cars on the road, less traffic congestion, and less pollution. And there is the benefit of human interaction, instead of shuffling through mundane radio stations. Having another person in the car makes your journey more enjoyable and interesting, says Auckland Transport’s Manager Community Transport Matthew Rednall. Carpooling could be a good opportunity to network with other professionals which could open up doors for the next big job opportunity or business potential. New Zealand is a country of dreams for many poor families in rural India, who see the Land of Long White Cloud as their escape destination from years of toil and turmoil. In their desperation, these migrants are willing to go to any length to secure a visa to New Zealand, a visa to their dreams. Which makes these migrants highly gullible to immigration scams that promise quick visa to New Zealand, along with a job offer. 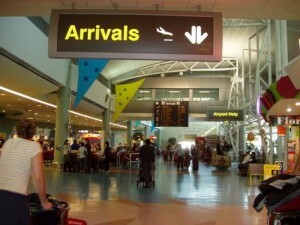 Such scams have resurfaced as the net migration to New Zealand is expected to grow this year. 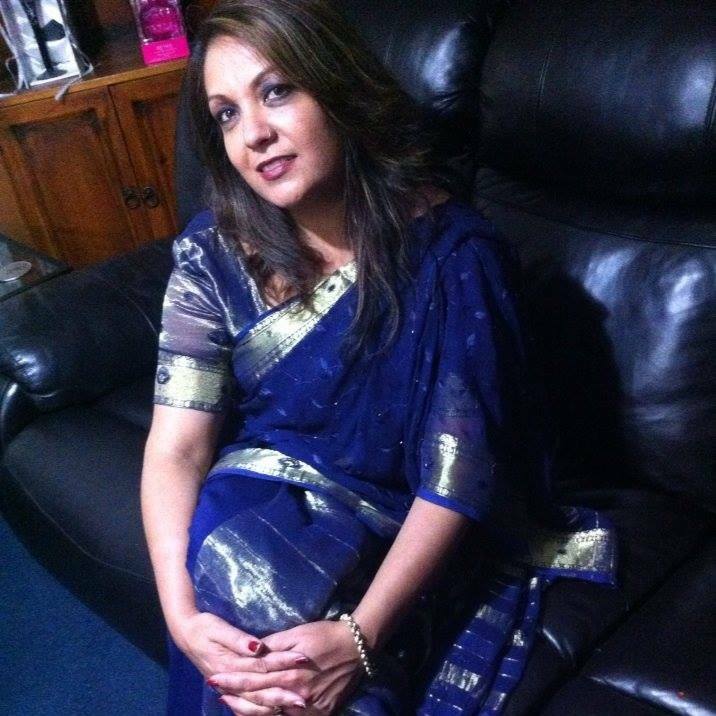 Scammers phone Indian nationals living in New Zealand claiming to be from Immigration New Zealand. They demand payment to a Western Union account in India and threaten deportation. What makes this scam unique is that the scammers have managed to make their calls appear to have come from the official Immigration New Zealand contact centre number. Jarrod Rendle is concerned at the number of people being caught out by this scam. He leads the Advice, Information and Education team at the Ministry of Business Innovation and Employment. “The calls also appear to be coming from the Immigration Contact Centre number, but in fact they are not. We call this practice a caller id spoofing scam,” says Jarrod. Immigration New Zealand first posted a warning about the scam on its website on 30 October 2013. Since then almost 300 Indian nationals have reported being called by the scammers, with reported losses of close to $65,000, according to figures from the Ministry of Business, Innovation and Employment (MBIE). Last year New Zealanders lost $4.8 million to scams. This year, this number has already reached $1.7 million. Knowing about the common types of scams and the typical red flags can help avoid being scammed, advises Jarrod. Remember, banks, Immigration New Zealand or Inland Revenue will never email, call or SMS people to ask for information or money to be sent using money transfer services. If you receive one of these calls do not pay the money. Contact the New Zealand Police or report the call to Scamwatch. An official Facebook group by the ministry runs real-time scam alerts. If you find the call suspicious, hang up immediately. If it doesn’t seem right, be cautious, double check details first. Do not pay money to anyone you have never met. Look after your personal details in the same way you would your wallet and other possessions. Your personal details are also very valuable to scammers, they will use your details to take out loans or run up debts if they can. Warn others. If you have been targeted by a scam, report it straight away to Scamwatch, and help prevent others from becoming the next scam victim. The religious Indian practice of scattering the ashes of a loved one after cremation may become costlier to follow in Auckland — New Zealand’s largest city and home to the largest group of Indians in the country. A general read of the by-law indicates that Auckland Council is trying to rationalise a number of differing by-laws inherited from the legacy councils that preceded the creation of the unitary council in Auckland. I can understand the need for uniformity. It seems legacy council for former Waitakere region contained provision for scattering of ashes. So did Franklin and Papakura, whereas other regions had varying restrictions. The New Zealand Jewish Council as per a statement released by Multicultural New Zealand. 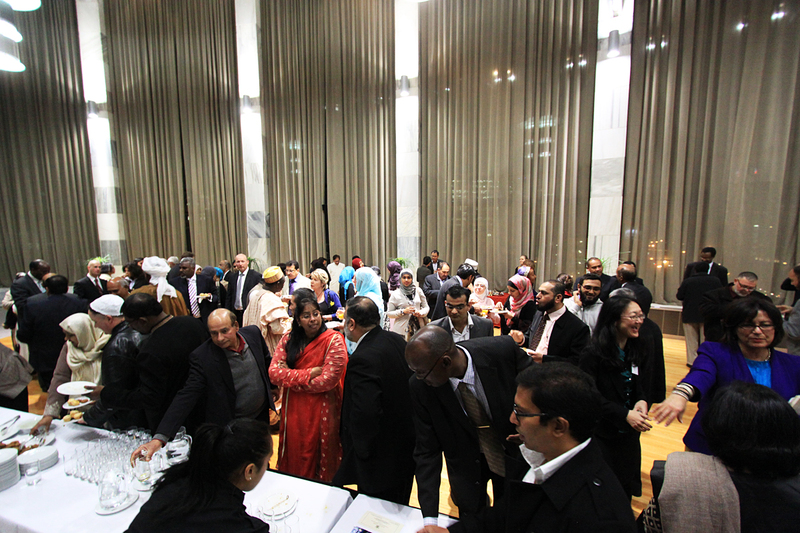 And these are only some of the ethnic bodies in New Zealand. Was it just rationalization of laws across the Auckland region, or are there any environmental or health concerns arising from the practice of dispersal of ashes? And if there are such safety concerns, are these borne out of the ‘mainstream’ culture’s less-informed opinion? 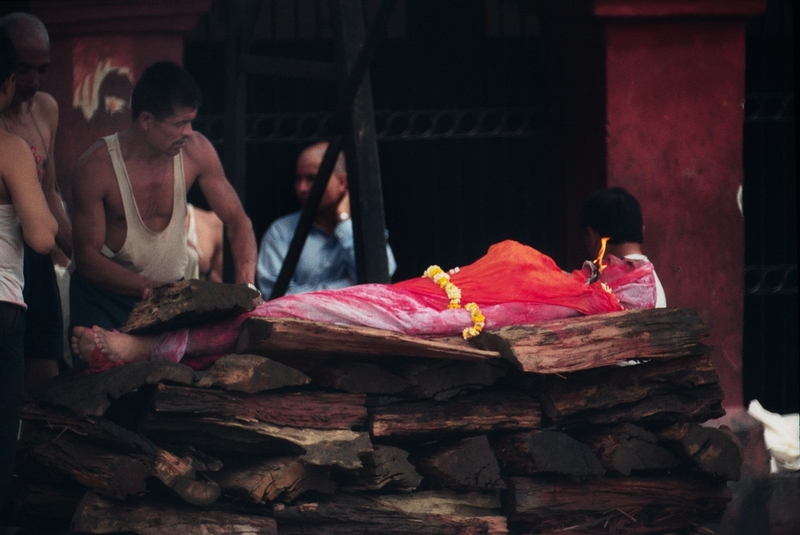 If the cremation happens at 800 degree Celsius, what is left of human body is pure carbon in the form of ashes. There are no apparent health concerns in other developed countries. And if there are health concerns, then a complete ban on dispersal of ashes will be in order. Also, putting so many restrictions, including bureaucratic approval, will introduce delay in the dispersal of ashes, something that’s not advisable in Hindu tradition. Describing the plan as “heavy handed, unnecessary and bureaucratic,” Labour’s Ethnic Affairs spokesperson Phil Goff says there has been insufficient consultation with the public and in particular with the ethnic communities, and that the decision is more likely to create problems than resolve any. “Families almost always conduct the scattering of their loved ones ashes with care and consideration. “The last thing we want to impose on grieving families are bureaucratic procedures, long time delays and additional expenses all for the simple duty of scattering the ashes of their loved ones,” says Phil. Another restriction put by the council is on the number of people allowed to attend the process of placing the casket in the cremator. It again shows lack of awareness of Hindu rituals. It is customary to have four members of the immediate family to carry the casket in to the cremator, says National List MP Kanwaljit Singh Bakshi who feels they are likely to have direct impact on the Indian community. Kanwaljit says he intends to submit to the council to express his personal concerns about the proposed changes. Phil Goff has written to the mayor of Auckland, Len Brown, asking for the council to think again. Unfortunately, consultation on the issue is closed, but the council would do well to re-consider its decision. While I am on the issue of consultation, I won’t put the blame entirely on the government. Numerous studies have shown that migrants, especially those from less developed countries, show apathy towards political activities. This includes voting as well as consultation. Many ethnic communities, including Indians, are apathetic towards consultation. First generation Indians were not used to being ‘consulted’ extensively by law-makers in their country of birth. A typical response to consultation in India is: “It’s a futile exercise. Which government has ever listened to people’s voices?” This could be partly true, but it creates a catch-22 situation. Lack of participation in consultation almost creates the environment of apathy on both sides – the government and its people. So, as much as the onus lies on the council to consult, it is also on us migrants to play an active role in this. Another critical role is of community leaders who are expected to raise the issue. While dispersal of ashes in rivers is a Hindu ritual, such a practice is unacceptable for many Maoris, as was evident during the consultation for the Burial and Cremation Act review last year. — Vaibhav Gangan is the managing editor of The Global Indian magazine – published since 2004. When I first visited New Zealand, I asked for directions to the nearest petrol pump and was greeted by confused looks. Apparently, what I was looking for was a gas station, where you get gas, not petrol. There are many such words that we Indians regularly use which are uncommon in western culture. How many of you have gone for a movie and asked for “normal” water, because your throat is bad (I mean you have a sore throat), and you don’t want to drink cold water. Or you have gone shopping, bought a toaster and asked the salesperson for a “fresh” piece, because you don’t want the one on display? I know, we all do that. Here’s a list of words and phrases that Indians use freely, but are not understood by native speakers of the language. Signal: This is a word that Indians use for traffic lights. Preferred word: Set of lights or traffic lights. Prepone: There is no such word in the language of the British, but this word is prevalent in India where it is used as an acronym to postpone. Preferred word: bring forward. Hanky Panky: OK, this one is really funny. My friend told her kids who were being picked up their friend’s mother for a sleepover, “Have fun but no hanky panky!” The lady who had come to pick up the kids nearly fainted. In India, hanky panky is broadly used for anything that’s shady. In the western world, it generally refers to sexual behaviour that’s dubious or unacceptable. Give tests: Indians don’t “take” tests, they “give” tests, an usage which is a legacy of literal translation from an Indian language. Rubber: Often used for an eraser in India. Mugging: Indian students cramp up a lot of information just before “giving” exams. It’s called mugging. Out of station: This phrase is used to describe going away, usually out of city or town. Tiffin: Yes, that’s lunch-box, but in India it is tiffin, whether you are going to school or work. And by the way, in India, you don’t go to ‘work’, you go to ‘office’. Same to you: Indians use this instead of ‘wish you the same’. They also say “Thanks very much”. Having: When Indians great creative, they use ‘having’ not as a word but something else. This is how it is used: “Our company is having offices in…“. It is also used as: “I am not having that information” which means “I don’t know”. Based out of: If you ask an Indian “Where is your office?”, don’t be surprised if he tells you, “I am based out of Auckland”. Similarly, someone’s office could be located “at” Auckland, not “in” Auckland. Pan-India: Yes, many Indian companies have “pan-India” presence, which implies they have offices in many Indian cities. Revert back: Indians love to use the word revert and we don’t stop there. We attach “back” to it and say “I will revert back to you.” Revert implies “getting back to someone”, and doesn’t need the extra “back”. Pressurized: When an Indian tells you “I am pressurized”, it does not mean what you think it does. He means that he is hard pressed for time. 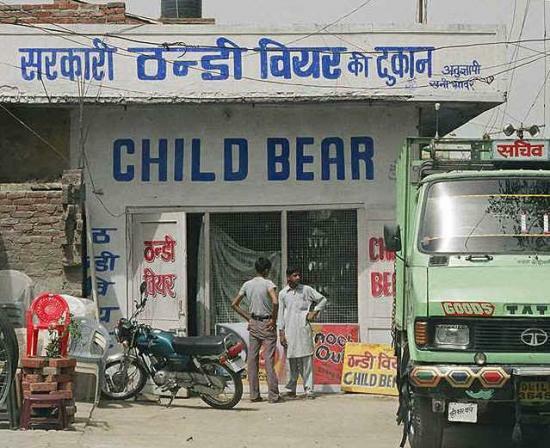 Yesterday night: I know it’s an oxymoron, but it is a common phrase used in India. Cousin brother/sister: OK, there’s redundancy in this phrase but I guess Indians use it to specify the gender of the cousin. On my face: Again a literal translation from a regional language, Indians may tell you “on your face” that you are fat. Your good name? In India, it is common and not at all unfriendly to ask a stranger their name. Indians soften the blow by adding “good” or “sweet” to the question. This practice is absent in the western world, and foreigners are often perplexed by the intimidating question. Do you have any favorite Indian phrases that confuse you? Share in comments below. When someone first asked me, “Do you have a brolly? It’s raining!” I was as clueless as a pirate wearing two eye-patches. Kiwi slang can be daunting not just for new migrants but seasoned settlers. Familiarize yourself with this Kiwi speak. Maori haka is a spectacular but daunting dance to watch, and is usually performed at the beginning of an event. Here are some of the most commonly used Kiwi words, sayings and phrases that confuse new migrants the most. Barbie: A barbecue or shortened to BBQ. Cardie: A cardigan. Also called a jumper. Dairy: A small shop in the neighbourhood. Also known as the corner store. Fag: A cigarette. Also used as “Let’s go for a fag”, which refers to smoking. G’day or gidday: It’s a short form for Good Day. Mate: friend. It is common to call a stranger a mate. Aye or eh: Pronounced as letter “a”, Kiwis use this instead of a question mark, to convert a normal sentence into a question. For example, “It’s hot, eh”. Also used in place of ‘what’ if the listener didn’t hear you or doesn’t understand what you are saying. Heaps: A lot of something. For e.g., my backyard has heaps of firewood. Hoodie: A jacket with a hood. Kia Ora: Hello in the Maori language. Propounced as ki-ora. Tall poppy syndrome: This is a phrase used for commonly observed New Zealand attitude of being modest about one’s achievements. She’ll be alright: Another trait of New Zealanders who like to get on with life and dealing with problems without whining or complaining. Tangi: A Maori word which means funeral ceremony. Not to be confused with Hangi which is a traditional Maori way of cooking. Haka: A Maori dance which you will usually see before the beginning of a rugby match. Do you know any other slang but confusing words used by New Zealanders? Share them in comments below. Here’s good news for most Indians who are bilingual. In a study conducted by the UK’s University of Edinburgh, it was found that those who spoke more than one language were able to slow down the aging of their brain. What is more reassuring is that the additional language could be learnt at any age and still receive the same benefits of good brain health. The study of 262 people found that reading, verbal fluency and intelligence improved. The research, published in Annals of Neurology confirmed that learning a new language helped in developing cognitive functions. The lead of the research Dr Thomas Bak, who works at the Centre for Cognitive Ageing and Cognitive Epidemiology at the University of Edinburgh, studied 262 volunteers from Edinburgh at the age of 11, and then again in their seventies. Dr Bak confirmed that people who spoke more than one language had better cognitive abilities compared to what would have been expected if they spoke only one language. And it didn’t matter at what age the second language was learnt. Dr Bak also completed another study in India where most people are bilingual. This study found that being bilingual could delay dementia by many years. So there you go – you have something to be thankful for if you are an Indian. Your brain is likely to remain younger compared to your western counterparts where being bilingual is not as prevalent as in India. For those who are not Indians or bilingual, there’s still hope. 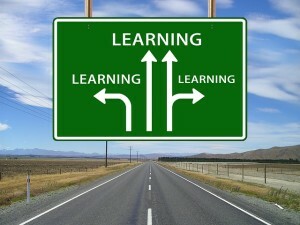 Enroll to learn a foreign language. It will stand you in good stead in your old age. While Brazil gets ready to host the biggest sporting event in the world – FIFA 2014, one the country’s biggest football clubs is in news for a different reason. 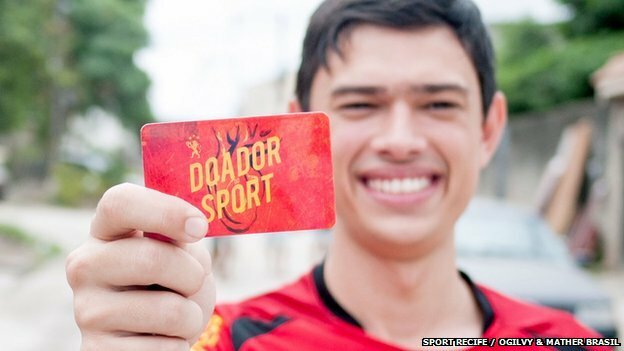 Sport Club Recife, one of the top teams in the north-east of Brazil, has channelized Brazilians’ love for football to a cause that’s of high relevance in the country. The club asked its fans to become “immortal fans” by donating their organs upon their death. They conveyed the message through a video that was shown to the fans at every match at the club’s Ilha do Retiro stadium. Within two years, the club managed to sign up 66,000 fans as organ donors. The waiting list for organ donors has been reduced to zero in Recife, and the neighboring regions have also benefited positively from the initiative. Pernambuco’s Institute of Integrated Medicine, which used to perform from five to seven heart transplants a year, ended up performing 28 transplants last year, Fernando Figueira, director of the institute told BBC. But it is not just sufficient to get fans to sign up as organ donors. It is important to get them to let their relatives know. As per local laws in Brazil, it is the family members that can decide about organ donation after the person’s death. Efforts are being made to ensure that donors are creating awareness among family members. The success of the scheme has attracted other clubs around the world, including Paris Saint-Germain and Barcelona, to replicate the scheme. There’s an outrage in the migrant community in New Zealand following the death of a kidney patient who was deported out of New Zealand. Sanil Kumar was waiting for a kidney transplant to save his life. His family, friends and well-wishers had already raised NZ$130,000 needed for the surgery, since he was not eligible for state-funded medical treatment. His cousin, a New Zealand citizen, had already started the tissue-matching procedure to be a kidney donor to save Sanil. However, the New Zealand associate minister for immigration, Nikki Kaye, declined to intervene in his deportation back to Fiji last month. He passed away yesterday in Fiji’s Loutuka Hospital, One News reported. It is intriguing, to put it mildly, why someone who was on a life-threatening disease and had the money to be treated in New Zealand, was sent back to Fiji where medical facilities are known to be not comparable to New Zealand. “Where would have been the harm to NZ if Sanil was allowed to get his operation here?” asks Labour MP Rajen Prasad, in a tweet. To Associate Minister Nicky Kaye and Immigration NZ – where would have been the harm to NZ if Sanil was allowed to get his operation here? The New Zealand Immigration system has been utterly heartless as Sanil had a kidney donor within his family and his community were busy raising the $130,000 needed for the transplant operation, says Rajen, in a statement. “He was deported, to what I predicted in April, would be his almost certain death as he simply wasn’t given the chance to have the operation in New Zealand. It was also clear a month ago that the type of dialysis treatment he had been receiving in New Zealand was not available in Fiji. “A sensible Minister and an intelligent Immigration system would have understood that this was a life and death issue for Sanil. In her defence, the associate minister has put the blame of the ministry of health. In a statement explaining her decision, Nikki says she received advice from the Ministry of Health that appropriate dialysis services were available for Sanil in Fiji before she made her decision. If only she had cared to read a Stuff news story as early as 21 November 2013, which confirmed that Fiji did not have facilities to treat Sanil. It was a life or death situation for Sanil because the Kidney Foundation of Fiji told Stuff reporter, Monica Tischler, peritoneal dialysis isn’t available in Fiji. The Foundation says only haemodialysis is available as the peritoneal option is costly and most of the patients using it died because of uncontrollably high infection rates, Monica wrote in the Western Leader (Stuff) article. “If I have go back to Fiji I will die,” Sanil told the reporter. The 30-year old plumber had been working in New Zealand on a work visa since 2010. Immigration New Zealand declined to renew his visa in July 2013 as there were New Zealanders who could do the job. Being on work visa in New Zealand, Sanil was ineligible for taxpayer-funded healthcare. His family, however, was arranging funds for his kidney transplant. “Nikki Kaye has based her decision not to intervene on a Ministry of Health report to her which states that patients may receive three months free treatment for local patients from the Fijian Government during which time they ‘need either to find a live donor and be prepared to pay for their dialysis treatment thereafter (FJ$32,000 per year),” Rajen had said in a statement on 23 April, soon after Sanil’s deportation. “Fiji does not perform kidney transplants but sometimes sends patients to India if a donor can be found,” Rajen had said. Can I keep Indian passport after becoming NZ citizen? Many Indians in New Zealand continue to hold Indian passports after becoming New Zealand citizens – either out of ignorance or willful intention (claiming ignorance). The Indian High Commission in New Zealand has appealed to such Indians to surrender their Indian passports. “Of late, many cases have been coming to the notice of this High Commission where the applicants have not surrendered their Indian Passports within three years of acquisition of New Zealand citizenship,” says the announcement on the High Commission’s website. People often confuse PIO status with dual citizenship. This is not true. The Indian Citizenship Act 1955 does not allow dual citizenship. It is a serious offense to retain Indian passport after acquiring citizenship of another country. “Holding Indian passport/acquiring Indian passport/travelling on Indian passport after acquisition of foreign citizenship constitutes an offence under the Indian Passport Act, 1967, and attracts penalties. If you have violated the above provisions, then you will need to surrender you Indian passport and pay appropriate penalty to the Indian High Commission in New Zealand. The Wellington-based High Commission has no authority to waive off such penalties. Like any other law, the Indian Citizenship Act as well as Passport Act does not pardon such errors on account of ignorance of law. If you have acquired New Zealand citizenship, you are required to cancel your Indian passport without delay to avoid higher penalties. The Indian High Commission website contains a table that shows how much penalty you would be expected to pay. Besides, if you haven’t surrendered your Indian passport, you will find it difficult to get visa for your dependent children. Indian origin parents with New Zealand citizenship will need to provide evidence of cancellation of Indian passport, for obtaining visa for their minor children. Once you surrender your Indian passport, you will travel on your New Zealand passport and may need a visa to visit India. To avoid this hassle, many New Zealand citizens of India origin opt for a PIO card. How is PIO card different from dual citizenship? Beginning September 2002, India introduced PIO scheme of people of Indian origin living outside India. The PIO card is like a long-term visa. With PIO card, which stands for Persons of Indian Origin, you don’t have to apply for a visa to visit India. Valid for 15 years, The PIO card scheme enables a person of Indian origin, up to the 4th Generation down, as also spouses of such persons to apply for and obtain a PIO card. The PIO card is given to up to 4th generation down. So if your great grandparents were citizens of India, you are still eligible for a PIO card. Even spouses of PIOs, who may not be of Indian origin, are eligible to obtain a PIO card. However, India specifically excludes citizens of its neighboring countries like Pakistan, Bangladesh, Sri Lanka, Nepal, Bhutan and China, and those of high-risk countries like Afghanistan and Iran from obtaining a PIO card. All foreign nationals (including foreigners of Indian origin) visiting India for more than 180 days (whether for study, research or employment) need to register with the Foreigners Regional Registration Officer (FRRO) within 14 days of arrival. PIO card holders don’t have to register until 30 days prior to the expiry of the initial 180-day period in India. PIOs can buy, hold, transfer and dispose of immovable properties in India. This applies to residential as well as commercial properties. PIO children can study in India’s medical colleges, engineering colleges, IITs, IIMs under the general categories like resident Indians. 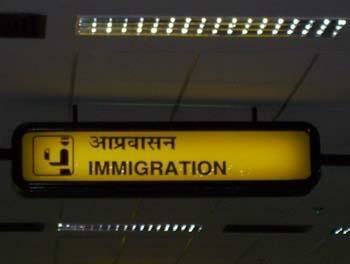 There are special counters at the immigration check posts for PIOs. PIOs however don’t get voting rights, cannot contest elections for any political position in India, neither are they allowed to buy agricultural land. How much does a PIO card cost? PIO card fees is NZ$695 for adults, and it is valid for 15 years. If your New Zealand passport expires before the expiry of your PIO card, you can still travel on your existing PIO card which contains old passport number. However, India’s Bureau of Immigration advises to have necessary endorsement of the new passport from the competent authority on their PIO cards “to avoid any inconvenience”. OCI status is given to those Indians who once were citizens of India (or were eligible to be Indian citizens), and have now surrendered Indian citizenship in favor of a foreign citizenship. OCI is different from PIOs in that PIO card is also issued to spouses and children even if they were never a citizen of India. See this table for comparison between NRIs, PIOs, PIO card holders and OCI card holders. Your resume is your first step at a prospective employer’s door. Vaibhav Gangan shares common resume mistakes to avoid. In this age of information overload, getting the job you desire is not as straightforward as it used to be, even if you have the required skills and qualifications. Companies are looking for solution-providers, not just highly-skilled individuals. While writing your resume, please keep in mind these CV tips and avoid these common mistakes. While writing opening statement/career objective, don’t be shy to say which position you are applying for and why you are suitable for that position. State the obvious up front. Don’t leave the recruiter wondering why he should hire you. Again, be specific. List the skills and experience that are directly relevant to the position you are applying for. In fact, don’t bother writing an objective. This usually doesn’t add any value to the recruiter. Use that space to write your summary as mentioned above. Check for typographical errors and spelling mistakes. Remove unnecessary exclamation marks and other symbols. Don’t use special characters. Don’t use multiple colors and multiple fonts. Keep it simple in formatting as well as language. 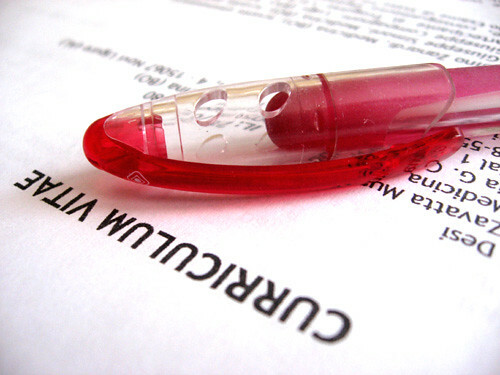 Since you have written and re-written your resume many times, you may not spot some errors. Get someone else to proof-read your CV. Don’t list hobbies and interests that are irrelevant to the position applying for. For example, whistling as an interest is not important unless you are applying for a music teacher’s position. Should you include references or not? Unless you are applying for graduate jobs, or entry-level jobs, references are not needed at the application stage. There is no need to say “references available on request”. Of course, certain employers specifically ask for references with CV, in which case you should provide references that are ready to endorse you. Make sure you have briefed your referees. Some CVs are so passive that recruiter almost stops reading after the first few lines. This happens especially when the candidate is low on self-confidence, or shy to express achievements. Your resume should reflect your achievements, and you can legitimately boast of your work here. List the specific challenges you faced and the results you achieved, and how your work helped your company. A recruiter is rarely interested in your marital status, date of birth. You can leave out these details. There’s a widely-accepted structure for CVs and resumes around the world. Stick to it and don’t re-arrange sections randomly. The most popular template of a CV/resume includes, in this order: professional summary, education, experience, skills, awards/achievements, professional accreditation, and interests. This is the most common and most suicidal mistake that could cost you your dream job – sending the same CV to all recruiters. Your resume must be tailored to the specific job. I don’t mean window-dressing your CV or adding false information there. Far from it. In fact, you should be honest in your CV. However, you must customize your CV to highlight those skills that are directly relevant to the job you are interested in. Which also means leaving out all those details that are not important for the job. Do you have any other tips that you would like to share? Please use the comment section below.